suggestions were received. Below is a list of the fifty rules (including subpoints) they mentioned most often. Don’t Be Afraid To Be A Sheep. 1. Follow the trends. This is probably some of the hardest advice for a trader to follow because the personality of the typical futures trader is not “one of the crowd.” Futures traders (and futures brokers) are highly individualistic; the markets seem to attract these types of people. Very simply, it takes a special kind of person, not “one of the crowd,” to earn enough risk capital to get involved in the futures markets. So the typical trader and the typical broker must guard against their natural instincts to be highly individualistic, to buck the crowd. 3. Use a system, any system, and stick with it. 6. Take a position only when you know the boundaries of your profit goal and where you will get out if the market turns against you. 10. Calculate the risk/reward ratio before putting on a trade, then guard against the risk of holding it too long. 11. Establish your trading plans before the market opens to eliminate emotional reactions. Decide on entry points, exit points, and objectives. Subject your decisions to only minor changes during the session. Profits are for those who act, not react. Don’t change during the session unless you have a very good reason. 12. Follow your plan. Once a position is established and stops are selected, do not get out unless the stop is reached, or the fundamental reason changes for taking the position. 13. 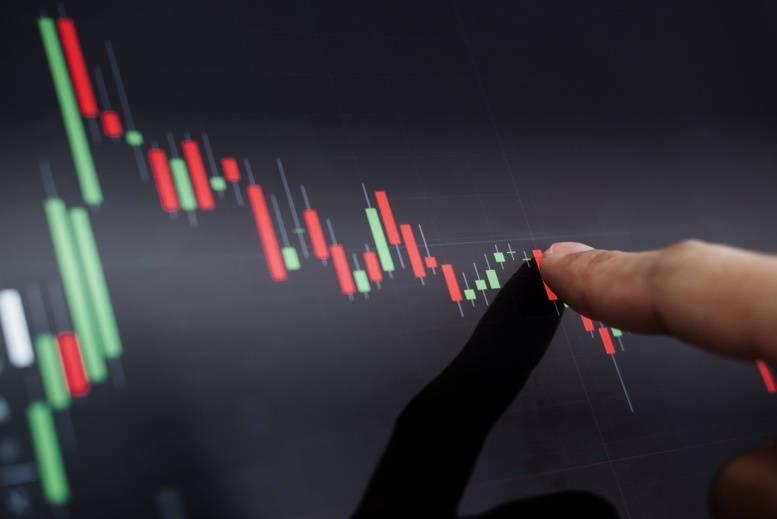 Use technical signals (charts) to maintain discipline—the vast majority of traders are not emotionally equipped to stay disciplined without some technical tools. 14. Have a disciplined, detailed trading plan for each trade; for example, entry, objective, and exit. Stick to this plan unless hard data changes. Disciplined money management means intelligent trading allocations and risk management. The overall objective is the year-end bottom line, not each individual trade. 17. Trade with a plan—not with hope, greed, or fear. Plan where you will get in the market, plan how much you will risk on the trade, and plan where you will take your profits. 18. Most importantly, cut your losses short; let your profits run. It sounds simple, but it isn’t. Let’s look at some of the reasons many traders have a hard time “cutting losses short.” First, it’s hard for any of us to admit we’ve made a mistake. Let’s say a position starts going against you, and all your “good” reasons for putting the position on still exist. You say to yourself, “it’s only a temporary set-back. After all (you reason), the more the position goes against me, the better chance it has to come back—the odds will catch up.” Also, the reasons for entering the trade are still there. By now you’ve lost quite a bit; you sell yourself on giving it “one more day.” It’s easy to convince yourself; by this time, you probably aren’t thinking very clearly about the position. So it goes; don’t hesitate to cut those losses short. In fact, many experienced traders say if a position still goes against you by the third day, get out. Cut those losses fast, before the losing position starts to infect you, before you “fall in love” with it. The easiest way is to inscribe across the front of your brain, “Cut my losses fast.” Use stop-loss orders, aim for a $500 per contract loss limit…whatever method works for you, use it. Now to the “letting profits run” side of the equation. This is even harder because who knows when those profits will stop running? No one does, of course, but there are some things to consider. First of all, be aware that there is an urge in all of us to want to win, even if it’s only by a narrow margin. Most of us were raised that way. Win, even if it’s only by one touchdown, one point, or one run. Following that philosophy almost assures you of losing in the futures markets because the nature of trading futures usually means that there are more losers than winners. The winners are often big, big, big winners, not “one run” winners. Here again, you have to fight human nature. Let’s say you’ve had several losses (like most traders), and now one of your positions is developing into a pretty good winner. The temptation to close it out is universally overwhelming. You’re sick about all those losses, and this looks like a chance to cash in on a pretty good winner. You don’t want it to get away. Besides, it gives you a nice warm feeling to close out a winning position and tell yourself (and maybe even your friends) how smart you were (particularly if you’re beginning to doubt yourself because of all those past losers). That kind of reasoning and emotionalism have no place in futures trading; therefore, the next time you are about to close out a winning position, ask yourself why. If the cold, calculating, sound reasons you used to put on the position are still there, you should strongly consider staying. Of course, you can use trailing stops to protect your profits, but if you are exiting a winning position out of fear (don’t), greed (don’t), ego (don’t), impatience (don’t), or anxiety (don’t). If you are thinking about exiting a winning position out of sound fundamental and/or technical reasoning…do. "Trading a sound, smart plan is the answer to cutting your losses short and letting your profits." 19. You can avoid the emotionalism, the second guessing, the wondering, and the agonizing if you have a sound trading plan (including price objectives, entry points, exit points, risk-reward ratios, stops, information about historical price levels, seasonal influences, government reports, prices of related markets, chart analysis, and so on; follow that plan. Most traders don’t want to bother; they like to “wing it.” Perhaps they think a plan might take the fun out of it for them. If you’re like that and trade futures for the fun of it, fine. If you’re trying to make money without a plan—forget it. Trading a sound, smart plan is the answer to cutting your losses short and letting your profits run. 21. Take your lumps, just be sure they are little lumps. Very successful traders generally have more losing trades than winning trades. They just don’t have any hang-ups about admitting they’re wrong and they have the ability to close out losing positions quickly. 22. Trade all positions in futures on a performance basis. Either the position gives a profit by the end of the third day after the position is taken, or else you get out. 23. Program your mind to accept many small losses. Program your mind to “sit still” for a few large gains. 25. Watch for divergence in related markets—is one market making a new high without another following? 26. Recognize that fear, greed, ignorance, generosity, stupidity, impatience, self- delusion, and so on can cost you a lot more money than the market(s) going against you. Also, no fundamental method exists to recognize these factors. 28. 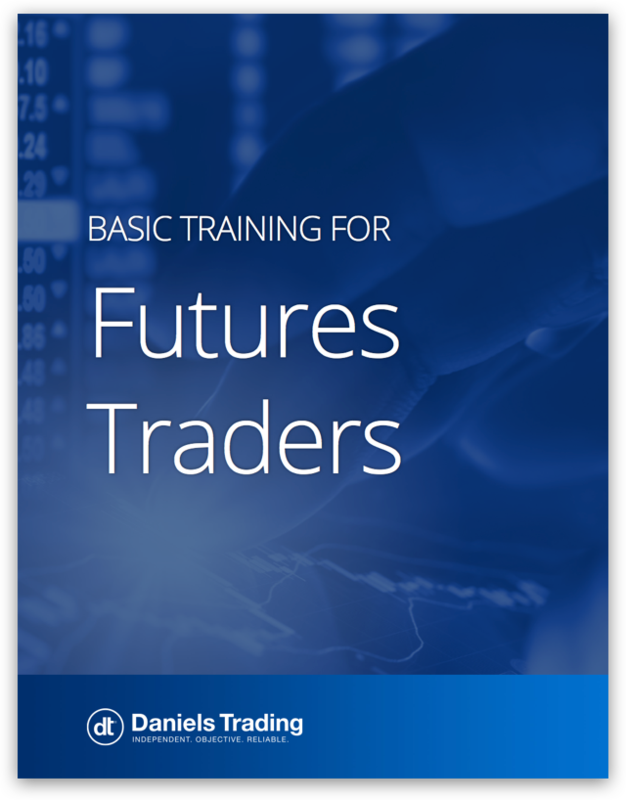 Learn the basics of futures trading. It’s amazing how many people simply don’t know what they’re doing. They’re bound to lose, unless they have a strong broker providing guidance and keeping them out of trouble. 30. Client and broker must have rapport. Chemistry between an account executive and client is very important. Pick a broker who will protect you from your own worst inclinations: greed, ego, fear, and/or a subconscious desire to lose (actually true with some traders). Ask someone who trades if they know a good futures broker. If you find one who has room for you, give him your account. 31. 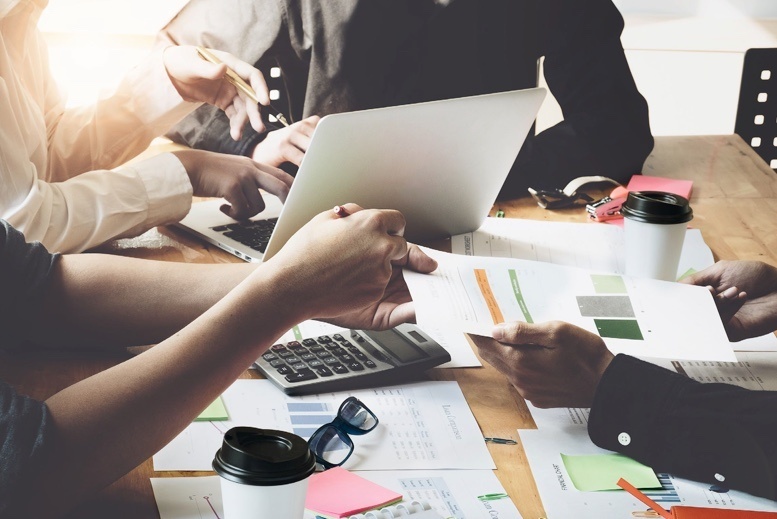 Sometimes, when things aren’t going well and you’re thinking about changing brokerage firms, think about just changing your Account Executive (AE) instead. Phone the manager of the local office, let him describe some of the other AEs in the office, and see if any of them seem right for a first meeting. Don’t worry about getting your AE in trouble; the office certainly would rather have you switch your AE than to lose your business altogether. 33. Most people do not have the time or the experience to trade futures profitably, so choosing a broker is the most important step in profitable futures trading. 34. When you go stale, get out of the markets for a while. Trading futures is demanding, and can be draining—especially when you’re losing. Step back; get away from it all to recharge your batteries. "Step back; get away from it all to recharge your batteries." 35. If you’re in futures simply for the thrill of gambling, you’ll probably lose. Chances are that the money does not mean as much to you as the excitement. Just knowing this about yourself may instill more prudence, which could improve your trading record. Have a business-like approach to the markets. 36. When you open an account with a broker, don’t just decide on the amount of money, decide on the length of time you should trade. This approach will help you conserve your equity, and avoid the Las Vegas approach of “Well, I’ll trade until my stake runs out.” Experience shows that many who have been trading over a long period of time end up making money. 37. Don’t trade on rumors. If you have been, ask yourself this: “Over the long run, have I made money or lost money trading on rumors?” If you have lost money, stop it. 38. Beware of all tips and inside information. Wait for the market’s action to tell you if the information is accurate, then take a position with the developing trend. start with enough money, you may not be able to survive if the market temporarily turns against you. 40. Be more careful if you’re extra smart. Smart people very often put on a position a little too early. They see the potential for a price movement before it becomes actual. They become worn out or “tapped out,” and aren’t around when a big move finally gets underway. They were too busy trading to make money. 41. Stay out of trouble; your first loss is your smallest loss. 42. Analyze your losses. Learn from your losses. They’re expensive lessons; you paid for them. Most traders haven’t learned from their mistakes because they don’t like to think about them. 43. Survive! In futures trading, the ones who stay long enough to be there when those “big moves” happen are often successful. 44. If you’re just getting into the markets, be a small trader for at least a year, then analyze your good trades and your bad ones. You can really learn more from your bad ones. 45. Carry a notebook with you, and jot down interesting market information. Write down the market openings and price ranges, as well as your own fills, stop orders, and personal observations. Thoroughly review your notes from time to time; use them to help analyze your performance. 46. As the saying goes, “Rome was not built in a day,” and no real movement of importance takes place in one day. A speculator should have enough excess margin in his (or her) account to provide staying power so he can participate in big moves. 48. Periodically redefine the kind of capital you have in the markets. If your personal financial situation changes and the risk capital becomes necessary capital, don’t wait for “just one more day” or “one more price tick,” get out right away. If you don’t, most likely you will start trading with your heart instead of your head, and then you’ll surely lose. 49. Always use stop orders, always…always…always. 50. Don’t use the markets to feed your need for excitement.